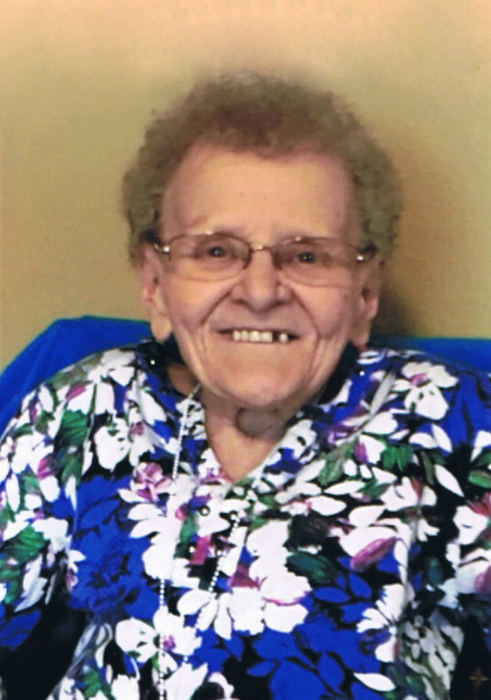 Betty Mae Stenlund, age 81 of Zim died Saturday, March 23, 2019 in Diamond Willow Assisted Living in Mountain Iron. She was born March 18, 1938 in Cook, the daughter of Arthur and Helia (Autio) Nelson, grew up in Orr and graduated from Orr High School. Betty married Charles L. Stenlund on April 18, 1959 in Eveleth and was a longtime resident of Zim. She was employed as a seamstress by Cluett-Peabody Arrow Shirt Factory and was a dedicated wife, mother and homemaker. She was a member of the East Range Vintage Auto Club and the Antique Automobile Club of America, Duluth Chapter. Betty enjoyed Embroidery, reading, sewing, bowling, antique auto car shows, picnics, road rallies, and riding motorcycles. Betty is survived by children: Darlene “Dusty” Thomas of Virginia, Arlene (Larry Plochocki, fiancée) Asuma of Cherry, Les (Sandy) Stenlund of Zim, and Brenda “Bunny” (Rick) Varani of Gilbert; siblings: Eleanor Spehar of Virginia, Doug Nelson of Cloquet, and Duane (Linda) Nelson of Eveleth; grandchildren: Andy Asuma, Ted (Jenna) Asuma Jake Stenlund, Karl (Katrina) Stenlund, Becky (Eric) Cox, Heather (Fiancé, Joe Tarr) Stenlund, Matt (Tanner) Stenlund, and Shannon (Caleb) Gillson; great-grandchildren: CJ, Finley, Braden, Easton, Carter, Keegan, Anniston, and Garrison; numerous nieces, nephews, extended family and friends. She was preceded in death by her parents; husband, Charles; siblings: Russell Nelson, Penny Heinzer and Rosie Larsen; sons-in-law: Paul Thomas and Jim Asuma. Visitation will be held Friday, March 29, 2019 from 5:00 p.m. until 7:00 p.m.at Faith United Lutheran Church in Iron. Visitation will continue Saturday, March 30 from 10:00 a.m. until the 11:00 a.m. Funeral Service at the Church. Interment will take place in the Zim Cemetery. The Stenlund family requests that everyone wear something blue on the day of the service to honor Betty’s favorite color.